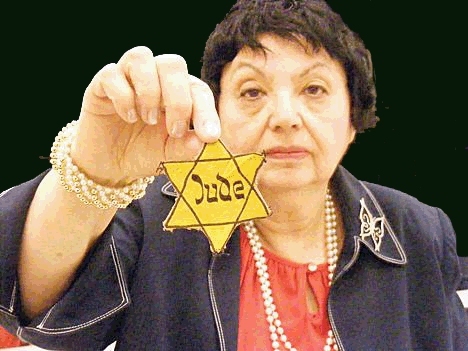 Holocaust survivor Inge Auerbacher holding the star that she wore in the Terezin concentration camp as a child. NOTE: Diana Waring was a partner in this project. She has posted an excellent blog article about it as well. I have been speaking at homeschooling conventions since the early 1990s. 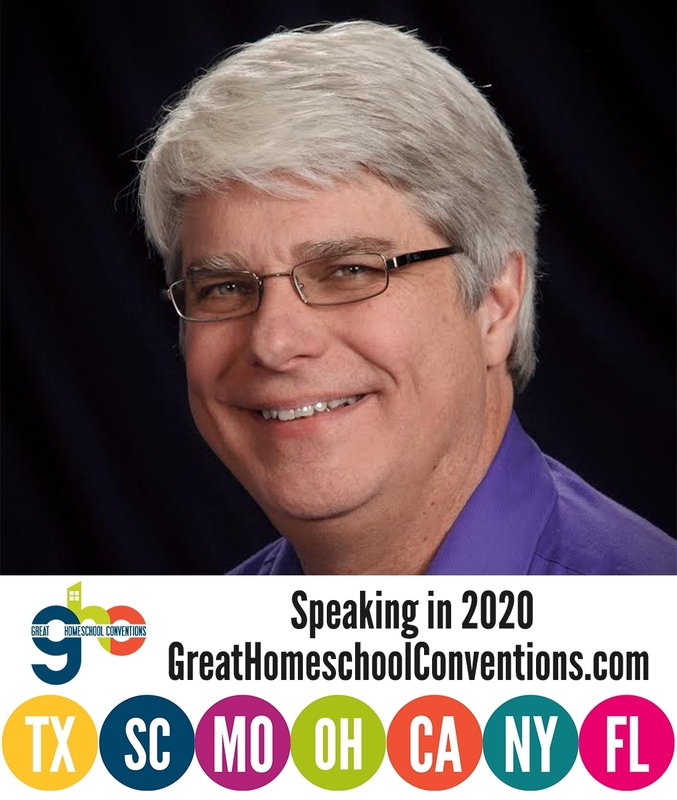 I always enjoy them, because I love to meet homeschoolers, answer their questions, learn what they are doing, and reconnect with others who are on the “convention circuit.” Every now and then, however, a homeschooling convention stands out as really special – one I will never forget. I suspect that this month’s Great Homeschool convention in Forth Worth, Texas will be one of those special conventions. Why? Because I get to meet a star…a REAL star. No, I am not talking about a movie star or a sports hero. I am talking about Inge Auerbacher, author of I Am a Star: Child of the Holocaust. I read that book years ago, and recently I had the great privilege of actually interviewing her on the phone, along with Diana Waring. Inge is an amazing person, and she has a lot to teach us all. She was the last Jewish child born in Kippenheim, Germany. At the age of three, she experienced Kristallnacht. Despite the fact that her father was a disabled World War 1 veteran and a recipient of the Iron Cross, he was sent to the Dachau concentration camp. However, he wrote a letter to the Gestapo about his war hero status, and as a “favor,” they sent him and his family to the Terezin concentration camp together. In fact, this was a great favor. Terezin was better than concentration camps like Dachau and Auschwitz. For one thing, the families stayed together. When Diana and I spoke with Inge, we asked how she was able to have hope in the midst of a concentration camp. She said that she thought as long as she had her parents, they would take care of her. Because families stayed together, there were many children in Terezin, and they played games, had dreams, and talked about what would happen when they finally got out of the camp. Most of those who got out of the camp did so by dying or by being sent somewhere else to die. This brings me to the most memorable part of our interview with Inge. She was talking about a doll she was able to bring with her to the camp. The doll’s name was Marlene, after Marlene Dietrich. In camp, she became friends with another girl who also had a doll. This friend’s mother would sew clothes for her doll from rags she was able to find in the camp. Well, one day, her friend said that she and her family were leaving on a train. She gave Inge some of her doll’s clothes and told her that when Inge came to visit them in Berlin, she could give the doll’s clothes back. The train was going to Auschwitz. Inge said that no one (except the Jewish elder of the camp) knew about Auschwitz. They only knew that it could be worse for them elsewhere. Needless to say, her friend died there. I was jealous that my friend was going on a train…I was waiting…let’s go too…I want to get out of this hell hole. Of course, years later, she learned that had she gotten what she wanted at the time, she would have been killed, like her friend was. She ended up writing a poem entitled, “A Conversation with God,” where she asks God why He took her friend away and if He made the right decision by leaving her there to survive. I just can’t imagine having to deal with such questions. I asked her about that star. She said that she still has it (pictured at the top of this post) and that she will be bringing it to the convention. You learn from the past; everybody should learn from the past. Have we learned anything? Unfortunately, not very much. You see what’s going on today in the world. Horrible, horrible, the killing, horrible things. We didn’t learn much, unfortunately. But if I don’t speak up at all, maybe things would even be worse. i had the great privilege about 7 years ago to listen to Alexander Lebenstein speak in VA. He authored The Gazebo, and had dedicated his life to telling his story and promoting tolerance both in America and in Germany through education. It was an amazing evening, he also experienced Kristallnacht. Highly recommended book! Taking two of my kids to GHC next week. Can’t wait to hear Dr.Auerbacher speak! Really looking forward to hearing you as well. My kids are doing research on Dr. Auerbacher this week so they can be more familiar with her, and they’re also reading her book. I think she has a childrens edition. My high school freshman is currently taking your biology course at a co-op and is absolutely LOVING it! If you have a chance, stop by the Berean Builders booth and say hi, Kelli! I am pretty sure we have her book. Introducing the subject of the Holocaust to our son has been careful, depending on his age. I remember being flooded with so much, all at once, when my mother and I visited Yad Vashem, when I was in my 20s. So, even going to USHMM, we were careful about what our son could handle, when he was little. We took him to the children’s exhibit, and he was terrified, afraid to walk between the rooms. That was when he was eight years old. We were in DC to participate in a March of Remembrance, on Yom HaShoah. My husband’s grandparent’s relatives were Jews in Lithuania, elderly at that time in history, so we only know that they would have been killed immediately. The family figured out their fate when mailed letters started coming back, undeliverable. So, it would be neat to see Inge Auerbacher in person, but I think the most appeal would be meeting someone who was there, in one of the camps, and came out of it, alive. We have great respect for anyone teaching about the Holocaust. Jay Wile, You ought to know better than to aid in the exposure of young minds to rabbinical Jews – Pharisees – the same people Christ himself condemned. And, make no mistake, that is exactly what you are doing. Will the home-schooling include terrorizing the youngsters with tales of soap made from human cadavers, stories of German SS dogs with poison teeth, the Jewish woman who fled to Romania where she lived with wolves, or, perhaps, Irene Zisblatt repeatedly defecating diamonds? Exposing young people to these types of stories is child abuse; plain and simple. Does the home-schooling include lessons on the death-by-starvation of millions in the Ukraine Holodomor? Does it include a lesson on the 66 million Russians who Nobel author Aleksandr Solzhenitsyn said perished in the communist gulags? If not, why not? Strelkov, there were no Pharisees or Sadducees in attendance at the convention, so you can rest easy that no young minds were exposed to them. Obviously, Inge’s talks are for family audiences, so she doesn’t go into the kinds of things that you mention. She talks mostly of how they were hungry all the time, sick a lot of the time, and dirty all the time. She does discuss people being sent to the gas chambers, including her best friend, but she does it in a way that is meaningful. She does not go for shock value. Please note that the parents and children in attendance at the Texas Homeschool Convention gave her a standing ovation, so none of them seemed to see a problem with the way she communicated her story! I know several homeschooling families, and they do cover both the Holodomor and Solzhenitsyn’s story. In fact, I didn’t know anything about the terror-famine in Ukraine until I saw a project that had been made by a homeschooled high school student. Also, the only students I know who have read all of The Gulag Archipelago are homeschooled students.